The wild side in artists that needs a release of that creative pent up energy that boils all year round could perhaps find no better release than active participation in the Burning Man festival – an annual gathering that takes place at Black Rock Desert (a temporary community erected in Black Rock City) in Nevada, also informally addressed to as ‘Playa’. But a warning – this festival is NOT for the faint-hearted. From first being a gathering in 1986 by a group of friends it’s a festival that has grown to be a community gathering that indulges in various forms of artistic self expression and self reliance where participation is a key pre requisite for all and the general underlying rule is of self less giving of one’s unique talents for the enjoyment of all those who are present. The creative contribution can be in terms of sculptures, performances, art cars etc. The culmination of burning man is as the name suggests – burning of a wooden effigy of “the man” on a Saturday evening before Labor Day. 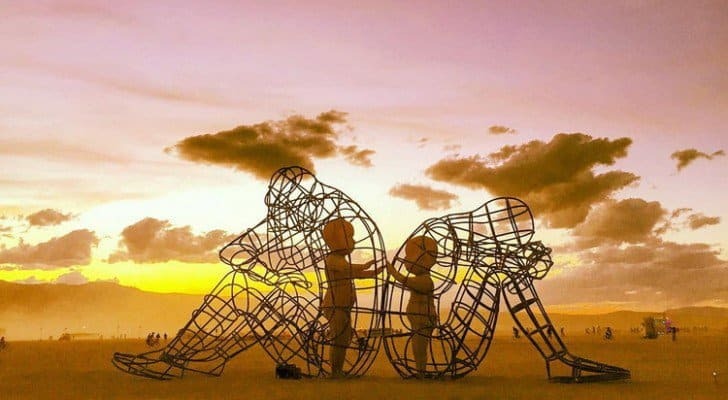 This year Burning Man is scheduled from August 28 to September 5, 2016 and the Art theme has been inspired by the Italian Renaissance and is called “Da Vinci’s Workshop”. Previous year’s themes have been equally interesting such as Carnival of Mirrors in 2015, Caravansary in 2014, Fertility in 2012 etc. The best way to participate in the event is by bringing “yourself” to the event i.e. by identifying which part of you can be shared with people around you. Some of the ways can be by creating an interactive art installation, theme camps, designing a mutant vehicle or through a performance. An insane week long party full of totally determined people, in a manmade city with a desert environment that is trying its best to kill you, so that you can get the best time of your life. The key highlight is the “leave no trace” policy (i.e. taking all the garbage one creates with themselves) that all burners follow religiously. In order to survive and enjoy the Burning Man one has to be prepared for everything. Carry lots and lots of water with you as it is a commerce free zone and people continue to rely upon each other’s generosity in addition to non perishable food, your own tents, bicycle, clothes and gifts! 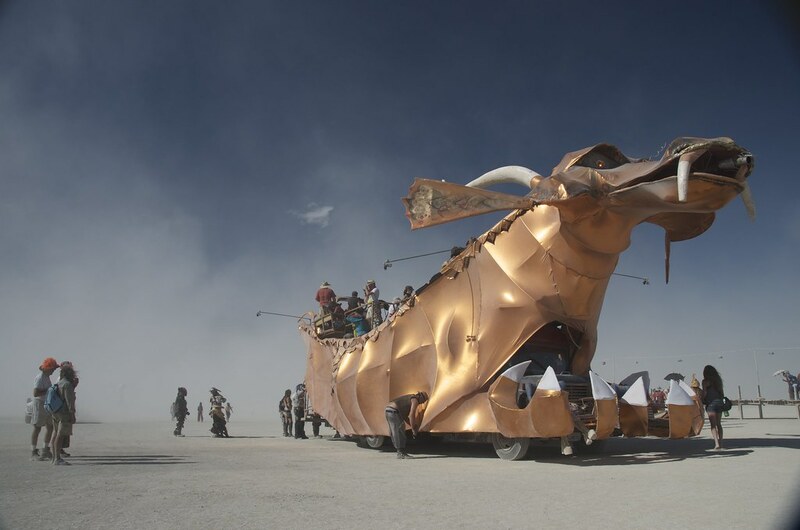 As mentioned earlier Burning Man is all about self reliance, community and embracing gifting culture. Go on Reddit and join some group camps who are like minded, this could take your experience to next level. Fly into Reno or San Francisco and hire an RV from there to the event. 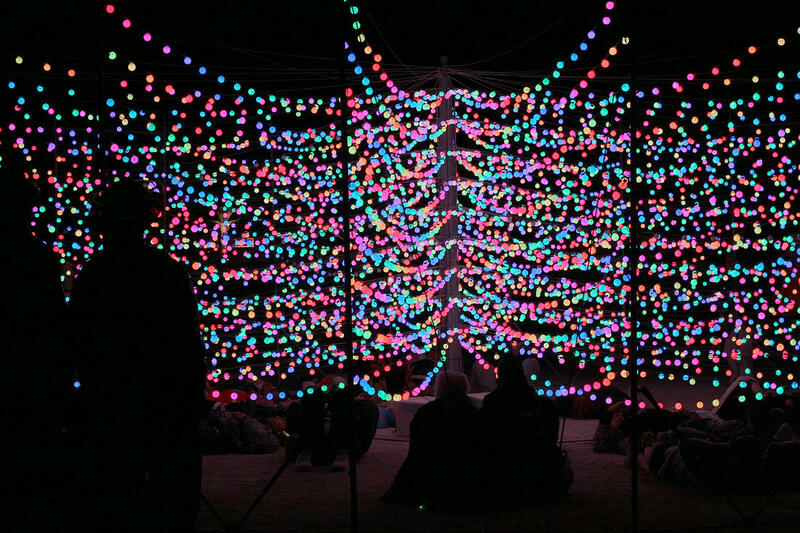 Sleeping in a tent is hotter than sleeping in a vehicle at Burning Man. Exorbitant rates are charged by RV companies for the festival. You can also charter buses from both Reno and San Francisco. There’s a small airport at the Playa for private planes. Sky diving as an option can also be used if your friends can get your luggage with them. Wear or not wear whatever you like. Yes, being in your birthday suit is an option here! But make sure you are carrying breathable clothes, wet wipes, proper shoes or sneaker and not flip flops as that could burn your feet, cheap fur coat for winter nights (cheap because anything you take there with you would get full of dust and rendered useless on your way back home), Scarf and Goggles for the dust and sand storms that are very common. There is also an interesting culture about BYO light- Bring your own light to light yourself up. Bring lots of batteries! During the night there’s no other light. Yes we live in the social media culture where taking pictures is as vital as breathing in oxygen but please don’t just keep taking pictures and if possible avoid taking pictures altogether or in a slot time you can yourself decide as it is you won’t have phone connectivity here. Otherwise, you can be sure to lose some experience or the other. However, also since so much is happening round the clock that it is as it is impossible to experience all of it. Make sure you are also clocking in some hours of sleep as it can get quite tempting to be there to witness all day time activities later followed up by a party all night to dance it all away. 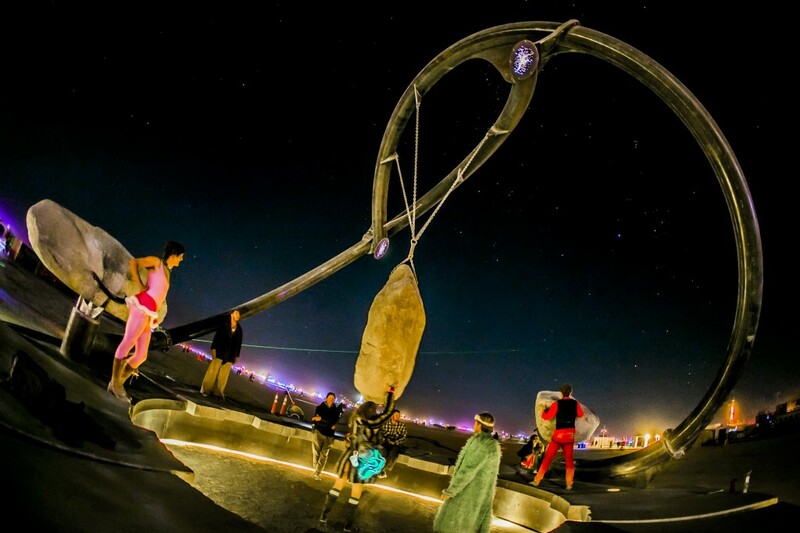 Burning Man as intended by founders will not be around forever. The event has a clue hidden in the name itself as the event is a celebration of impermanence and change. It’s a city that vanishes “leaving no trace” behind. 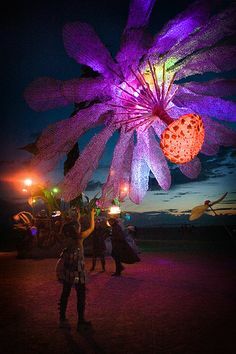 The extra people that the event is gathering each year, show that eventually the culture will decline and Burning Man won’t be what it once stood for, and would actually be full of more tourists than change makers. Approximately 30,000 at $390 tickets and 10,000 vehicle passes (motorcycles and towed vehicles are exempt) at $80 plus applicable fees and taxes. You can buy only buy a maximum of two tickets and one vehicle pass.